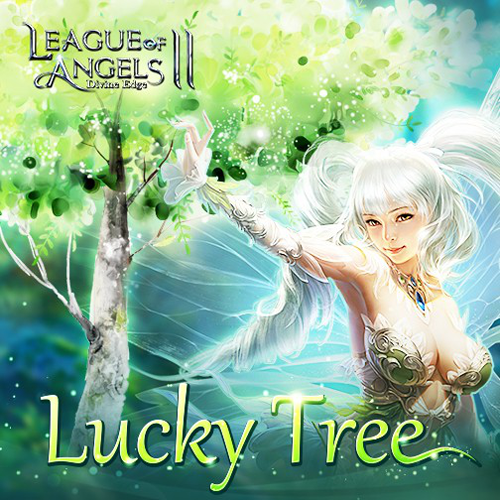 Lucky Tree: Get Your Eternal Equipment! Lucky Tree is an ancient tree in the Land of Sapphire. Everyone on this planet can water it and share its fruit. Now it appears in game to grants everyone more resources and power. Hope you can be stronger than before and defeat more demons. You can bless the tree and get rewards form it. The rewards will randomly drop from the tree. You can click on the fruit on the tree to check out th items there. The tree will level up when your blessing reach certain times. The higher the tree level is, the better the items on the tree will be. Each blessing gives 1 Point, and you can redeem great rewards with it when your Points reach certain amount. 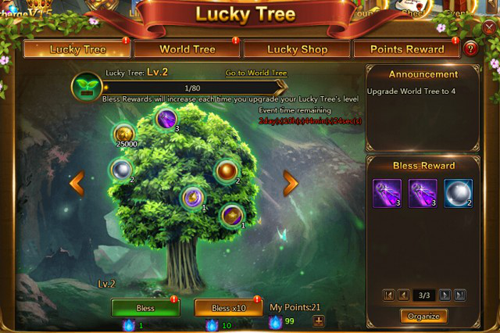 Each time any player on a server Blesses their Lucky Tree, the World Tree will gain 1 EXP. Each time the World Tree levels up, all players on the server will receive corresponding level rewards. Used to Bless your Lucky Tree, Water Essence is used before Topazes when Blessing. Remaining Water Essence will be removed after event ends. Used in Lucky Shop during Lucky Tree event. Remaining Lucky Coins will be removed when event ends. 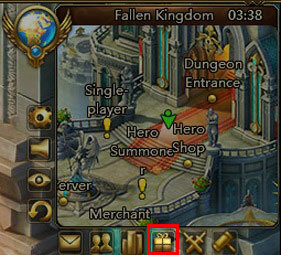 Mini Eternal Chest: Can choose 1 from 4 Eternal Equipment and get 5 shards of it. 1. Bless Lvl.5 Lucky Tree. 2. Claim from Lvl.5 World Tree Rewards.